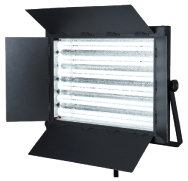 Our fluorescent lights offer beautifully soft light for great video and ease of setup. Provided with softcases they are equally at home in the studio or on location. The FL series offers convenient wireless control allowing dimming of individual lights or groups for quick lighting control. Their all metal construction will give years of reliable service. 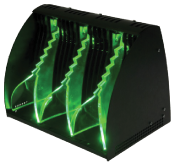 BladeLight Our revolutionary BladeLights offer the advantages of LED panels, fluorescents and fresnels in one fixture. 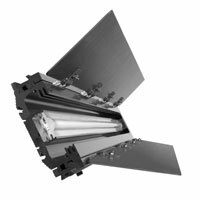 Their long single strip high power LEDS offer the wrap around look of fluorescents with the convenience of tight light control. 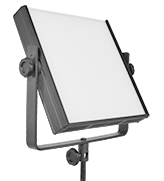 They include a patent pending linear lens giving effective zoom from 20°-120º that controls and concentrates the light.